New products will be released. It looks simple, but you can store a set of darts, tips and a player card in it. It comes with a Case-S and a carabiner clip to hang it anywhere. 6 colors are available! 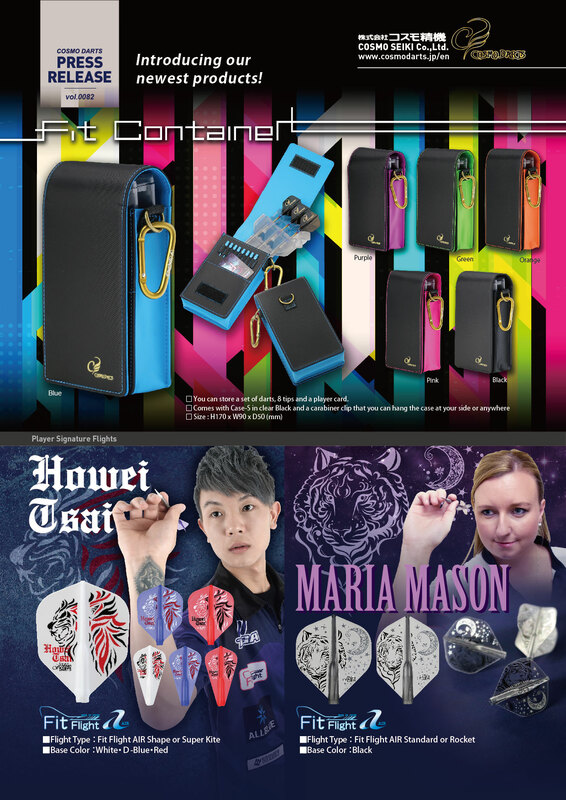 The first signature flights of Howei Tsai who is actively playing in Taiwan. The first signature flights of Canadian top female player, Maria Mason. She is the first Canadian ladies player who showed a great performance at the Lakeside stage. 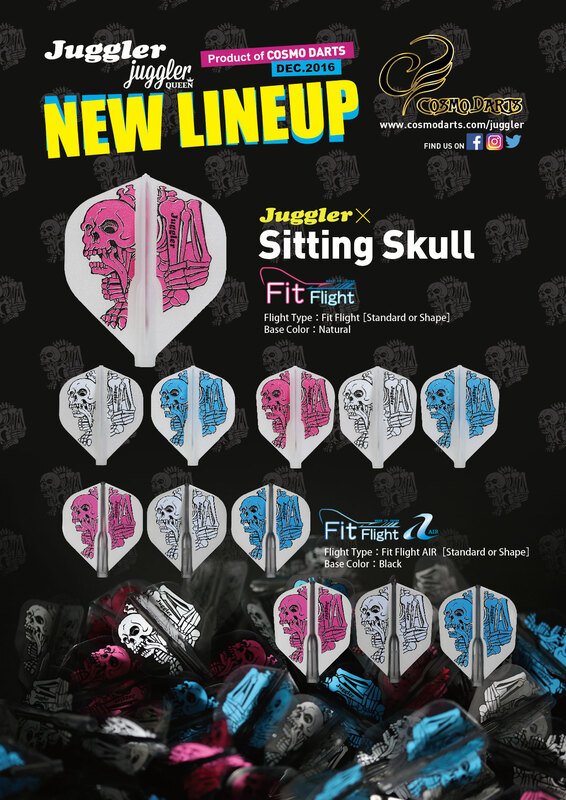 Both Fit Flight and Fit Flight AIR are available for Sitting Skull design. Juggler flights are limited in quantity. Please don’t miss your chance to get the one you like! The above products are available for sale from December 7th, 2016.